"They weren’t classified like Hillary Clinton. They weren’t deleted like Hillary Clinton," he told reporters Tuesday. 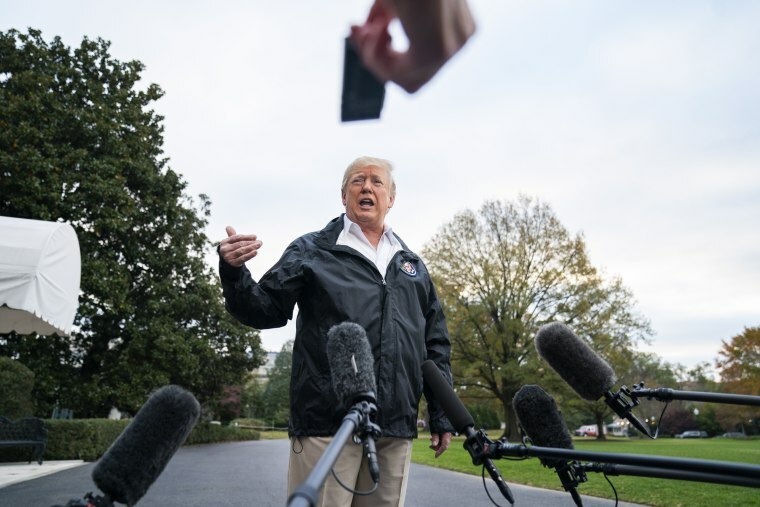 WASHINGTON — President Donald Trump on Tuesday defended daughter Ivanka Trump's use of a personal email account to communicate with government officials, saying there was nothing wrong with her actions. "Early on and for a little period of time, Ivanka did some emails," the president told reporters as he was departing the White House for Mar-a-Lago. "They weren’t classified like Hillary Clinton. They weren’t deleted like Hillary Clinton." Ivanka Trump, who also serves as an unpaid senior White House adviser, used a personal email account to send hundreds of emails to officials both before and after formally joining the administration, according to a report from the Washington Post. Does Ivanka Trump deserve same criticism as Clinton for emails? Trump made Hillary Clinton's use of a personal email account during her time as secretary of state a key part of his 2016 presidential campaign message. The president told reporters Tuesday that the two situations aren't comparable. "I looked at it, just very briefly today, and the presidential records — they’re all in presidential records," the president said. "There was no hiding, there was no deleting like Hillary Clinton did. There was no server in the basement like Hillary Clinton did." Ivanka Trump, who was traveling with the president, ignored shouted questions from reporters.